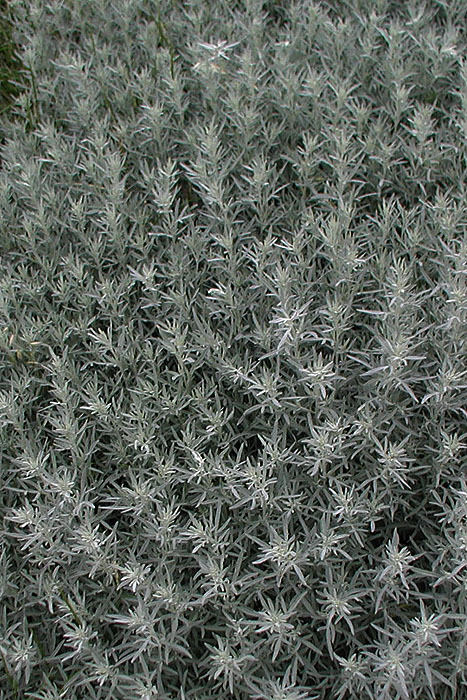 Silver Sage (also known as "Prairie Sage") is an aromatic plant and is a great drought tolerant ground cover for dry landscapes. 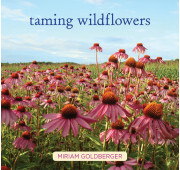 The entire plant has silver-coloured foliage which brings out yellows, reds and blues when planted with other wildflowers. 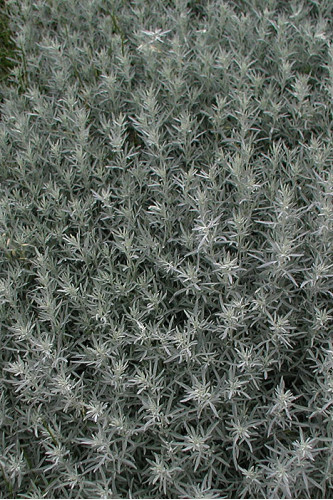 First nations people called it "man sage" and used it for ceremonial purposes. Note: Artemesia ludoviciana spreads via rhizomes so give it plenty of room! Indoors: No pre-treatment necessary other than cold, dry storage. Start at least 4 weeks before outdoor night temperatures are reliably in the 10 C (50 F) range. Seed needs light to germinate, do not cover after planting. Keep moist but not soggy and very warm (21 C - 70 F). When seedlings are 5 cm (2 in.) tall, transplant into the garden spaced 30 cm (1 ft.) apart. Outdoors: Sow directly outdoors in either late fall or early spring. Seed needs light to germinate, do not cover after sowing. Outdoors Alternative: In late fall through to mid-winter fill plastic pots with a slightly moistened, sterile, soil-less growing mix. Sow seed in pots and label the pots. Seed needs light to germinate, do not cover after sowing. Place them outdoors in an area where they will experience the snow and cold of winter. The seed will germinate in the pots in spring as the weather warms up. Be sure to water the pots regularly in spring and once the plants are 5 cm ( 2 inches) tall, transplant them into your garden.